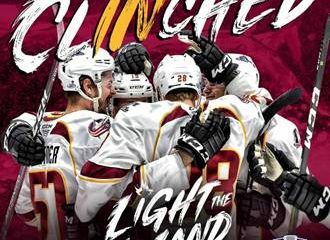 The Cleveland Monsters, American Hockey League affiliate of the NHL’s Columbus Blue Jackets, were defeated by the Hershey Bears on Friday night at Giant Center by a final score of 6-1. 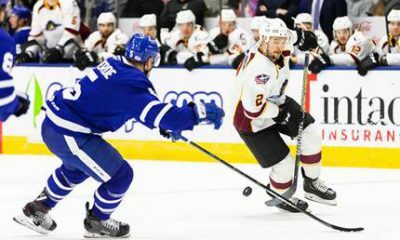 With the loss, the Monsters drop to 8-7-1-0 overall this season and with 17 points, remain alone in second place in the AHL’s North Division standings. Hershey opened the scoring in the first period when former Monster Mike Sgarbossa poked home an even-strength tally at 4:55 to give the Bears an early 1-0 lead. The Monsters answered at 10:55 as Sonny Milano scored on set-ups from defensemen Adam Clendening and Tommy Cross to even the score at one apiece. The Bears closed the period with two straight goals, an even-strength marker from Nathan Walker at 17:14 and then a power-play goal from Riley Barber at 18:53, giving Hershey a 3-1 advantage heading into the first intermission. The Bears extended their lead to 4-1 at 2:23 of the middle frame courtesy of Jayson Megna’s five-on-five finish and then, in the final period, Hershey tallied two power-play goals from Shane Gersich at 3:59 and 16:08 of the frame to cap the scoring for the evening and secure a 6-1 victory for the Bears. 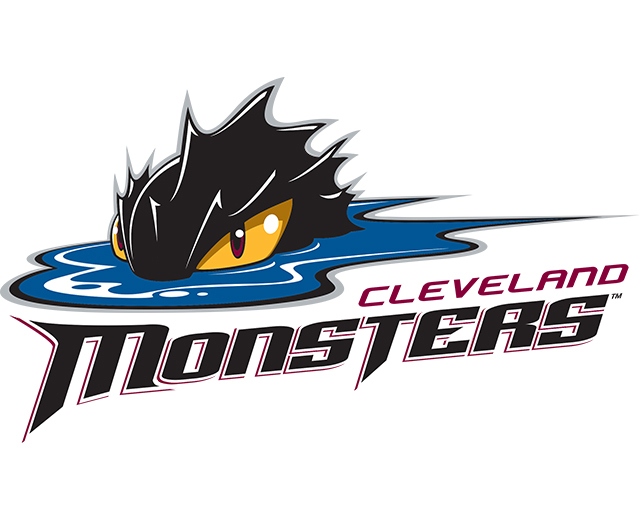 Cleveland goaltender Brad Thiessen stopped five of nine shots in the first 22:23 of the game to drop to 2-1-0 on the season, while Matiss Kivlenieks pitched in with 12 saves on 14 shots in relief for the Monsters the rest of the way. Bears netminder Parker Milner stopped 30 of the 31 pucks he faced, improving to 2-0-0 on the year. Next up for the Monsters, it’s a Saturday rematch vs. the Bears with full coverage, live from Giant Center in Hershey, PA, underway at 7:00.